The Florida Corvette Club is proud to offer our Corvettes to various organizations for events such as parades and homecomings. High School Homecomings and parades are the major source of revenue for FCC. The funds raised are directed to local charities such as Toys for Tots, Children’s Miracle Network, Honor Flight and several more. The funds may be used for other club supported events, if deemed necessary by the Board of Directors. 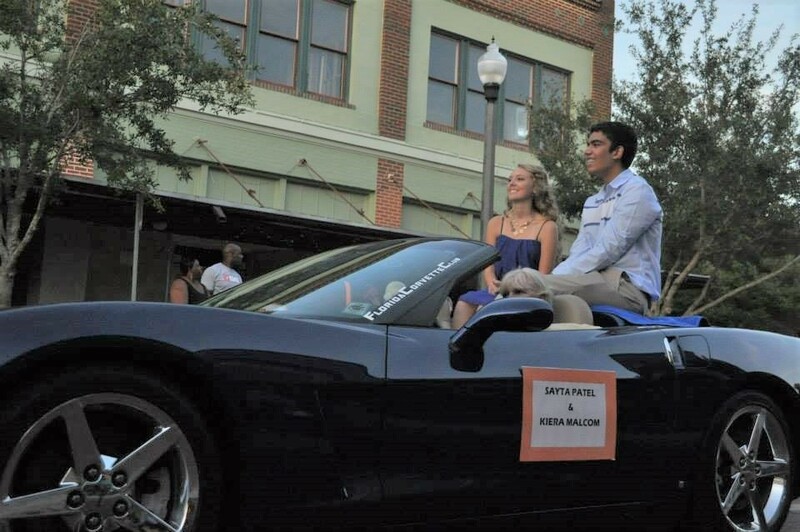 Homecomings generally consist of transporting high school students in our Corvette. Most often the students will be paraded around their high school track prior to or during their football game. Though our requirement is generally for convertibles, we often use coupes. For convertibles, the participants sit atop the rear deck. For coupes, participants can be seated atop the “roll bar." The decision to place one or two participants atop the car is at the car owner’s/driver’s discretion. Items to bring include a rug or blanket for the participants to sit on (to protect your paint), a few towels to step on (to protect your seats), a roll of masking tape (to affix signs to your doors), and a few cleaning supplies such as spray detailer (for last minute “touch-ups”). Preparation for a parade is essentially the same as for homecoming. These seem to take more of our time as these parades can be any length. This is a perfect time for us to fly our FCC flag to advertise our club. When contacting us for an event, please keep in mind that many of our members work and are taking time off to support our club and charities and will not be able to sit for hours waiting for the parade to begin. We will gladly show up at least one hour prior to parade time. Our cost for parades are very reasonable and lower than most other Corvette clubs in our area. Wanda Rumbaugh: email at wanda6772@gmail.com or call 407-538-8458 to reserve your ‘fleet’ of Corvettes for your event. It is so much fun for the kids to ride and wave at the crowd. And I believe our drivers have almost as much fun!!!! !